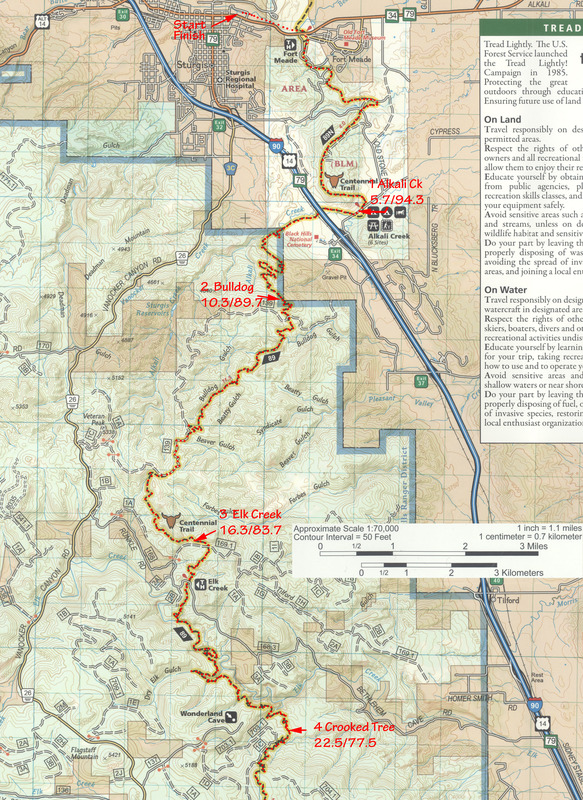 National Geographics makes a nice waterproof map that covers the whole course. It is only $11.95 at Amazon. I found a Centennial Trail trace on the GPSies site and modified it in Mapsource (Garmin) to include the entire course plus aid stations. It is broken into 500 point tracks as many GPS receivers will only upload tracks of 500 points of less. They'll upload many different tracks though. I carried a Garmin eTrex Vista during the 2016 run collecting data every 20 seconds. Note the measured vertical climb is >17,000 feet. 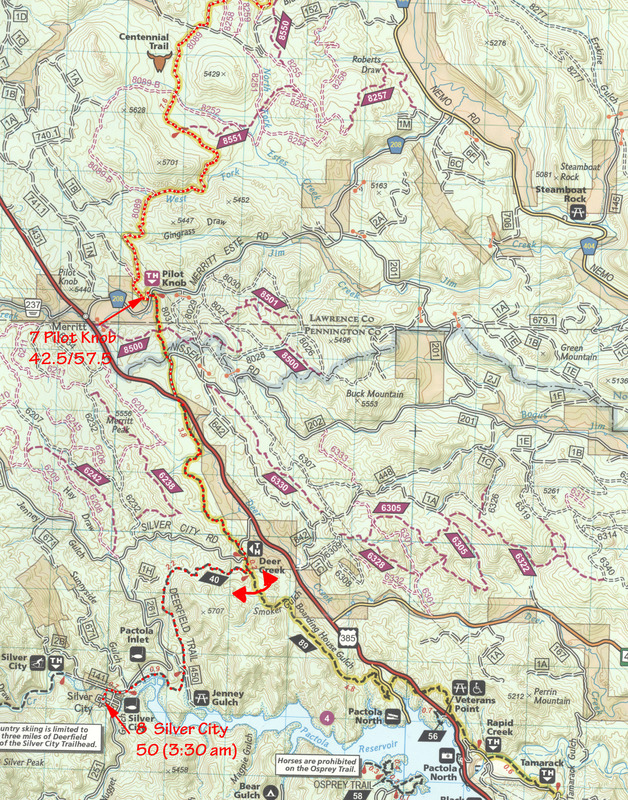 Here are the USGS Topographical Maps that cover the BH100 Course. They are in Geo-Tiff format but can be opened in any photo editing program. To use these in mapping software the corresponding *.tfw files are also needed and are included below. The tiff files are 7 MB so take a few seconds to download.